Save money on BEC Solar and LED outdoor lighting! Reliable electricity for your family or business. Solar energy with analytics and battery storage options. High-speed internet for the ultimate streaming experience. SmartHub can help you take control of your electricity use and your BEC account like never before. Whether through the web, or your smartphone or tablet (Android or iOS), you’ll be able to pay your bill, monitor your electricity use, contact member services and much more. Texas Co-op Power is published to enhance the quality of life of BEC's members in an educational and entertaining format. 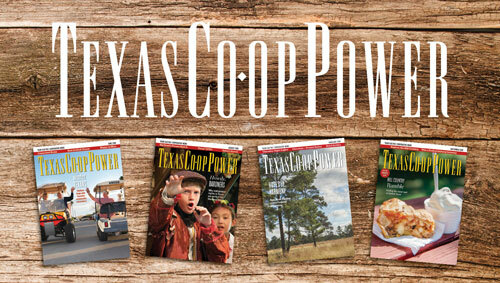 Members receive Texas Co-op Power each month with local center pages featuring news, stories, information and important dates from BEC. Bandera Electric’s goal is to provide members with reliable electric power, but even the best systems sometimes have bad days. To report an outage, call us 24/7 at 866.226.3372. Bandera Electric Cooperative's mission is to enhance the quality of life by providing highly reliable electric and other related services, that are valued by our members, at the lowest possible cost. Bandera Electric Cooperative proudly distributes electricity to more than 27,000 members and more than 35,000 active meters across seven counties in the Texas Hill Country.